very beautiful ...pulls you in .. lots of energy! Wow.. thank you very much, Patricia! Dear Marsha, thank you so much! You've been producing such wonderfully creative pieces yourself... I appreciate your vote and for your time in letting me know you like this piece. Hugs right back! 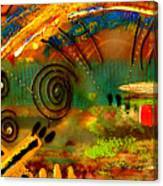 Contratulations on your second place win in the Encaustic Contest!! Thanks so much CJ. 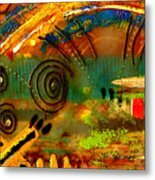 I am happy to be a part of an Encaustic group here on FAA! Wow.....amazing work Angela! Thanks for commenting as well. nice work.. can really feel this one! Thank you for all your kind compliments/comments. really appreciate it. Thanx much Chaline... so glad for your visit! Inspiring journey art my dear....love the colors, texture and movement....I can sense a journey in place with this. Another fav. I do understand... I left town for the weekend but still checked in just a little bit. :-) You are such a hard worker, my friend. I can see the safe journey back home. Nice work. Yeah, girlfriend... this is our journey! Love ya... thanx so much for commenting.